The Colts were able to pull off an impressive comeback last week over the Packers. Sunday against the Jets on the road, they were pounded by the New York run game, losing badly 35-9. The Jets were able to roll up 252 yards on the ground after struggling in the running game for weeks, and Mark Sanchez was mistake-free in an efficient performance. The Jets even used some trickery, as Tim Tebow had a 23-yard pass on a fake punt that sent the MetLife Stadium into a frenzy. The Jets defense was able to frustrate Colts QB Andrew Luck into three turnovers as New York snapped a two-game slide at home that had many wondering if the season was about to spiral out of control. Shonn Greene gouged the Colts for a career-high 161 yards and three touchdowns behind the Jets’ best defensive effort of the season. 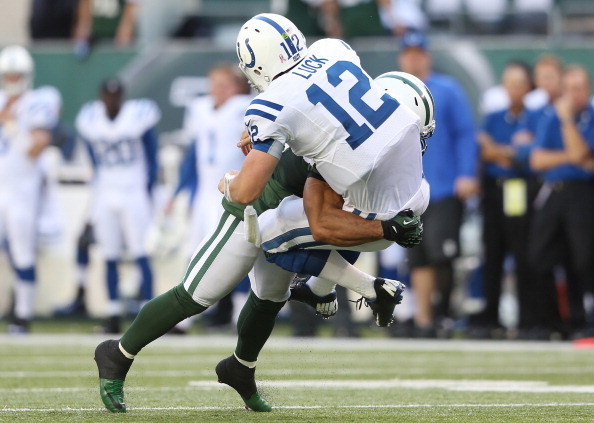 The frustrating thing for the Colts (2-3) is that they knew the Jets would try to run the ball on them. And they still couldn’t do anything to stop them. Indianapolis trailed 21-6 at halftime and couldn’t erase a big deficit for the second straight week after coming back from 18 points and beating Green Bay last Sunday for Bruce Arians‘ first win while filling in for Chuck Pagano, hospitalized while being treated for leukemia. Luck finished 22 of 44 for 280 yards, two interceptions and a lost fumble on a day he misfired a handful of times. 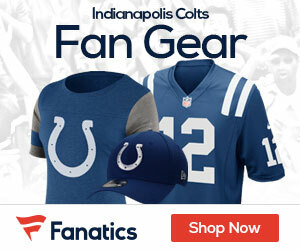 Luck was driving the Colts for a possible touchdown with less than 7 minutes left, but Ellis Lankster ended that when he intercepted the rookie’s toss for Donnie Avery in the end zone.